Vancouver, BC - Skyharbour Resources Ltd. (TSX-V: SYH) (OTCQB: SYHBF) (Frankfurt: SC1P) (the “Company”) is pleased to provide two recent interviews that were done with Curzio Research and Resource Stock Digest and an update on the success of the current drill program and expanding the drill program from 3,500 to 4,500 meters at the Moore Lake Uranium Project. 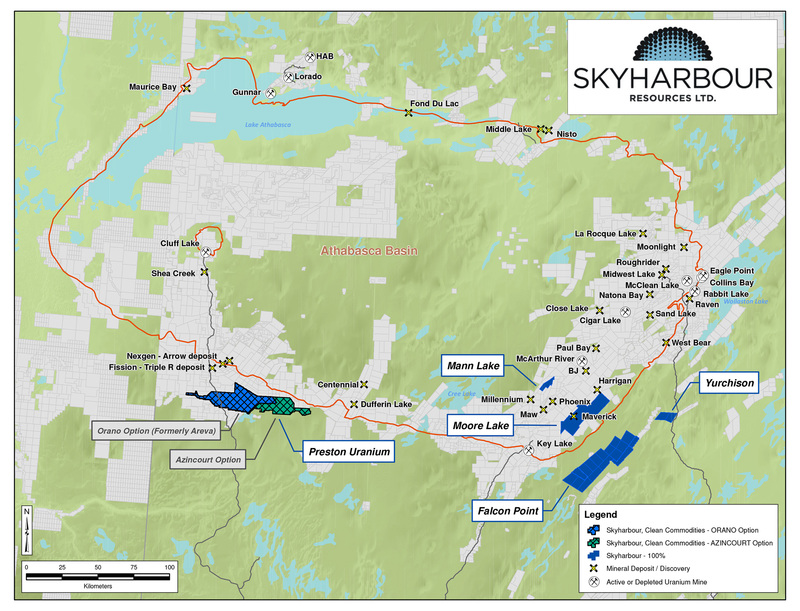 Skyharbour has now completed five drill holes in this first phase of drilling at the Moore Lake Uranium Project with high levels of radioactivity and uranium mineralization encountered in three of them. Drill holes ML-199 and ML-200 tested gaps and the margins of the Main Maverick lens and ML-202 was drilled as a 75 metre step-out hole E-NE from the eastern margin of the Main Maverick Zone. Skyharbour’s technical team believes drill hole ML-202 represents the discovery of a new high-grade mineralized lens on the property. The technical information in this update has been prepared in accordance with the Canadian regulatory requirements set out in National Instrument 43-101 and reviewed and approved by Richard Kusmirski, P.Geo., M.Sc., Skyharbour’s Head Technical Advisor and a Director, as well as a Qualified Person. Skyharbour holds an extensive portfolio of uranium and thorium exploration projects in Canada's Athabasca Basin and is well positioned to benefit from improving uranium market fundamentals with five drill-ready projects. In July 2016, Skyharbour acquired an option from Denison Mines to acquire 100% of the Moore Lake Uranium Project which is located 20 kilometres east of Denison’s Wheeler River project and 39 kilometres south of Cameco’s McArthur River uranium mine. 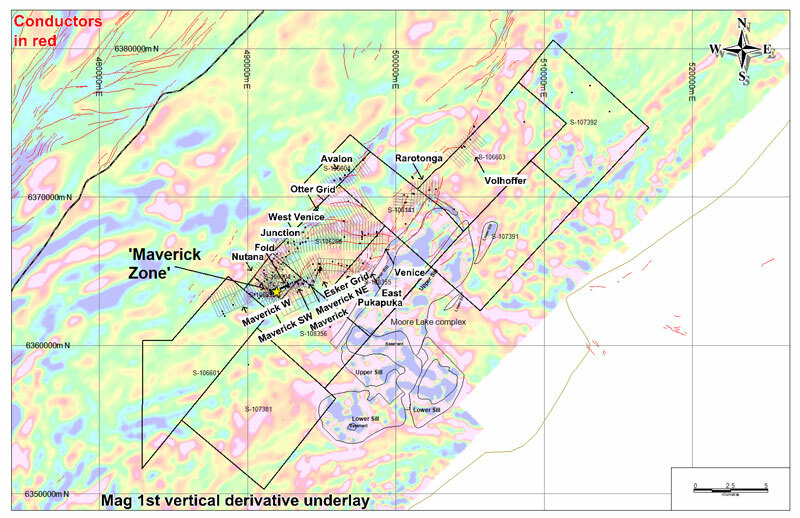 Moore Lake is an advanced stage uranium exploration property with over $30 million in historical exploration, 370 diamond drill holes, and a high-grade uranium zone known as the Maverick Zone with drill results including 4.03% e U3O8 over 10 metres at a vertical depth of 265 metres. The Company owns a 100% interest in the Falcon Point (formerly Way Lake) Uranium Project on the eastern perimeter of the Basin which hosts an NI 43-101 inferred resource totaling 7.0 million pounds of U3O8 at 0.03% and 5.3 million pounds of ThO2 at 0.023%. The project also hosts a high-grade surface showing with up to 68% U3O8 in grab samples from a massive pitchblende vein, the source of which has yet to be discovered. Skyharbour also has a 50% interest in the large, geologically prospective Preston Uranium Project proximal to Fission Uranium’s Triple R deposit as well as NexGen Energy’s Arrow deposit. 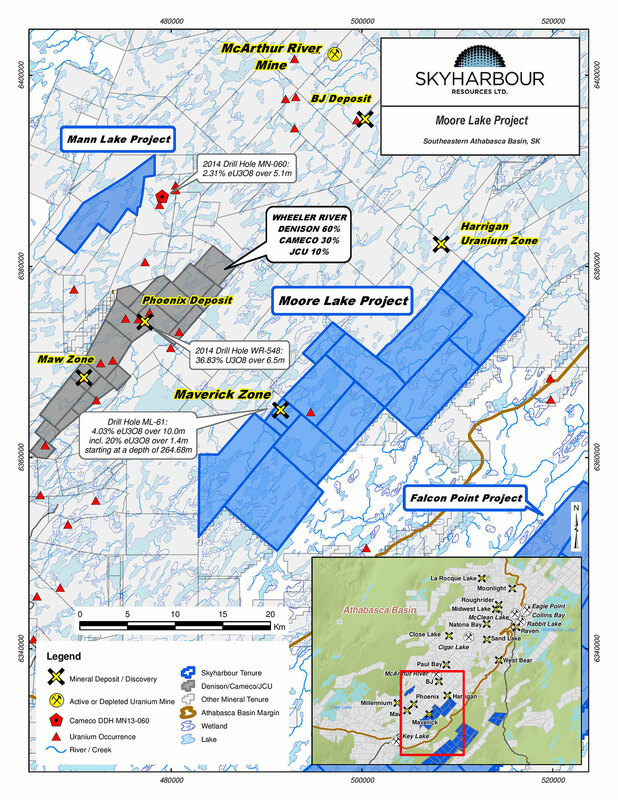 The Company’s 100% owned Mann Lake Uranium project on the east side of the Basin is strategically located adjacent to the Mann Lake Joint Venture operated by Cameco with partners Denison Mines and AREVA, where high-grade uranium mineralization was recently discovered. Skyharbour’s goal is to maximize shareholder value through new mineral discoveries, committed long-term partnerships, and the advancement of exploration projects in geopolitically favourable jurisdictions.